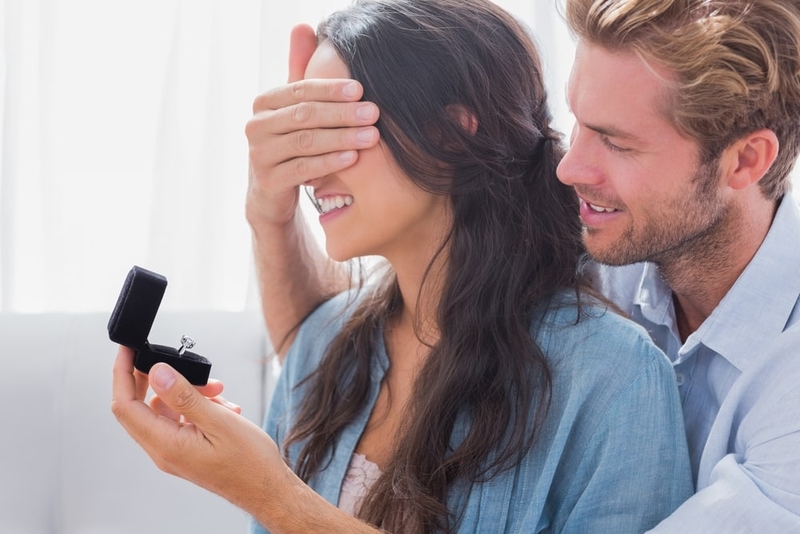 Engagement rings can be complicated to understand. How much should you spend? What styles are available? How can you make sure you pick out the right ring? 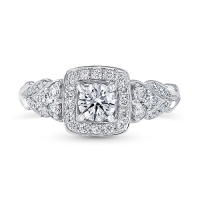 In this engagement ring guide, we’ll go over the basics, and teach you how to select a beautiful, unforgettable ring that your significant other will love. Let’s get into it the engagement ring guide. 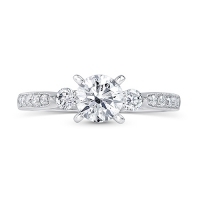 An old “rule of thumb” has been to spend 2-3 months of your salary on an engagement ring. While there’s nothing wrong with doing this, the true value of an engagement ring comes from the meaning behind it – not just the number of precious gemstones on the ring. So determine your own budget. How much do you feel comfortable spending? What can you afford? Do you have any flexibility? Figuring out how much you can spend is a valuable first step, as you’ll be able to narrow down your options quickly, and only look at rings that you can afford. There are dozens of ring styles. Some are plain, and only have one gemstone in the setting. Others are lined and dotted with dozens of individual gemstones, from diamonds to sapphires and many more. Speaking of gemstones, diamonds are traditional as the main stone in an engagement ring – but if you want to select a different gemstone, you’re free to do so. Consider the tastes and preferences of your partner. You could even take a look at a few of their rings and other pieces of jewelry, to get a better idea of what kind of style and gemstones she may want on their engagement ring. Cut – This refers to the style that the gemstone is “cut” into shape, and the different facet designs that can be created by using different cutting structures and techniques. 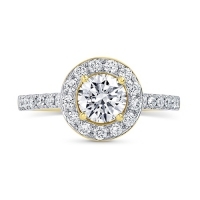 Brilliant cut diamonds, for example, are a semi-round shape with dozens of individual facets. Color – The color of a diamond is determined by trace elements of nitrogen. Typically, colored diamonds are less expensive than more pure, clear diamonds. Clarity – Clarity refers to the presence of structural imperfections or other issues that may affect the brilliance and transparency of a diamond. Carat – This refers to the weight and size of the gemstone. 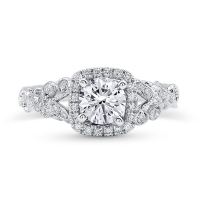 As a rule, more expensive diamonds have a more complicated cut, little color, great clarity, and a higher weight – and the opposite is true of more inexpensive diamonds. Gems are cut into 10 different standard shapes. Round is the most popular by far, and usually a solid choice. You also need to choose metal for the ring. 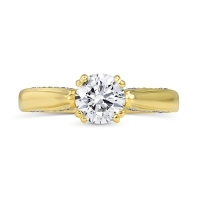 Platinum, white gold, rose gold, and yellow gold are the most popular choices. It may be hard to find your partner’s ring size. You may be able to take a piece of their jewelry to a jeweler, and have it traced to determine the proper size. 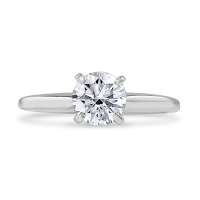 You could also put your diamond in a temporary ring-setting, and have it re-set permanently into your partner’s preferred ring once you’re engaged. 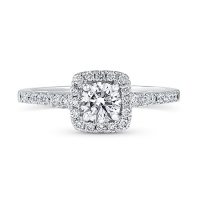 This is the best choice if you don’t know their ring size. 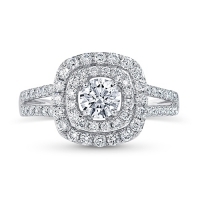 We hope this engagement ring guide has been helpful, and that you’ve learned more about engagement rings. Shop with confidence – no matter what you choose, we’re sure it’ll be the right decision.